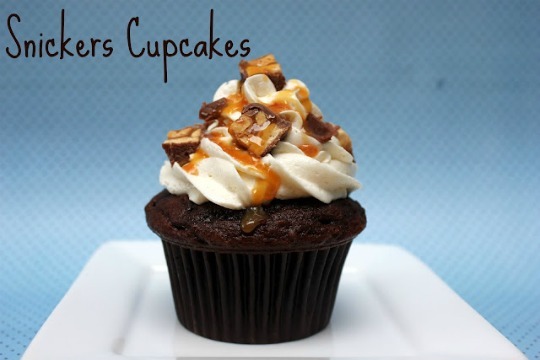 Know what happens when a Snickers bar and a cupcake get together? Using a large cookie scoop, fill liners 2/3 full. Gently push a frozen mini Snickers bar into the batter making sure the batter completely covers the candy bar. Bake for 18-20 minutes or until done. Top with chopped snickers bars and drizzle with caramel sauce. Tip: Pour caramel sauce into a Wilton squeeze bottle and microwave it for 15-30 seconds to thin the caramel sauce. Let it cool before drizzling it over the frosting.